Let history surprise you. 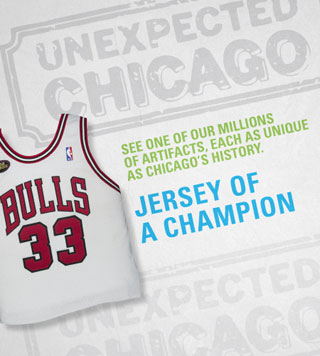 Each month stop by to see a new item on display from the Museum’s collection of more than 22 million artifacts. Handpicked by our curators, the selections may come from our 17,909 linear feet of archives and manuscripts; 40,000 decorative and industrial arts artifacts; 3,400 works of art; 1.5 million photographs; or 50,000-piece costume collection.